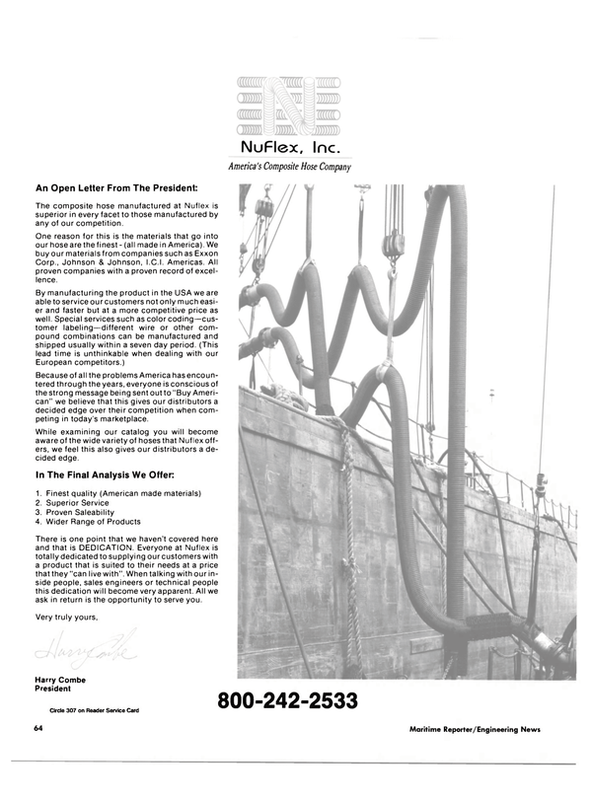 The central navigation work station has become more and more the focus of modern bridge design in seagoing ships and, in accordance with this, Anschutz & Co. GmbH of Kiel, West Germany, offers its "Nauto Control" line of products to fulfill the demand of navigators for fast, comprehensive information, safe operation and reliable systems. The Nauto Control line, which is continuously being extended, has taken over a central function in the modern bridge. The components involved in the central functions of the Anschutz Nauto Control system are; gyrocompass— Standard 14, Gyrostav; heading reference and managing system— Nautocourse; digital and adaptive autopilot—Nautopilot D/ A; track controller—Nautotrack N/ A; automatic chart table—Nautoplot; manual steering control system— Nautosteer; nautical information display—Nautocommand; and global positioning system—Nautostar GPS. With Nautostar GPS, Anschutz offers a high-tech GPS receiver which is optimal both for marine applications and for inclusion in the integrated navigation and steering control system, Nauto Control. The receiver computes all navigation data relevant for command of the ship. Operator and display components have been tailored to the requirements of commercial shipping. The large illuminated LCDdisplay is easy to interpret. The sixchannel receiver was conceived as an easy-to-install unit for installation in desk or bulkhead.